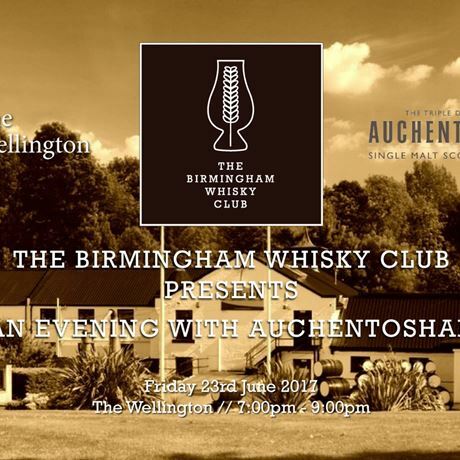 The Birmingham Whisky Club and Joseph Ellis (brand development manager at Maxxium) would like to invite you to to join them at The Wellington on Friday, 23 June for 'An Evening With Auchentoshan'. Learn about the distillery's delicious whiskies, the history of the brand and taste through a selection delectable drams. 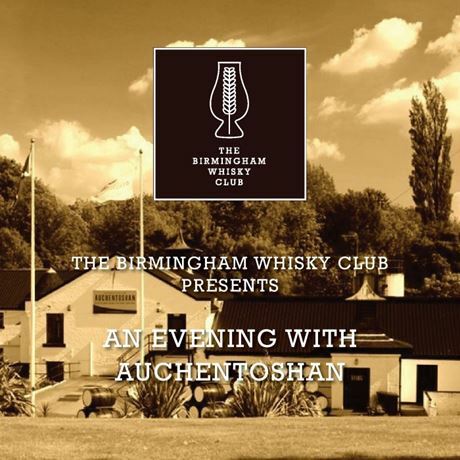 Every last drop of whisky that Auchenstohan makes is triple distilled. It takes longer. It costs more. But the distillery knows it’s worth it. City-inspired since 1823. Never mind the bollards. The city is where traditional craft meets progressive thinking. This all makes every edition of Auchentoshan flavoursome, smooth and drinkable – a whisky as aggressively welcoming as Glasgow itself. 7pm: Tasting begins. You will be led through a selection of different drams by Joe and get a chance to ask all of your burning questions throughout. 9pm: Although the tasting is over, please feel free to stick around. Anything you were afraid to ask? Grab our resident expert and have all of your queries answered.